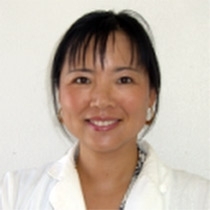 Licensed acupuncturist Dr. Heidi Fu first began practicing alternative medicine while serving in the Chinese Air Force General Hospital in Beijing, China. After moving to the U.S. and completing two master’s degrees and a doctorate, Dr. Fu opened her own private clinic, Acupuncture Retreat, in Los Gatos, Calif.
As a doctor of acupuncture and trained herbalist, Dr. Fu has treated patients ranging in age from three to 86 presenting a wide spectrum of health issues. Her specific interests include women’s and men’s health, infertility, pain management and mental well-being. She also endorses facial cosmetic acupuncture treatments as a natural alternative to Botox.